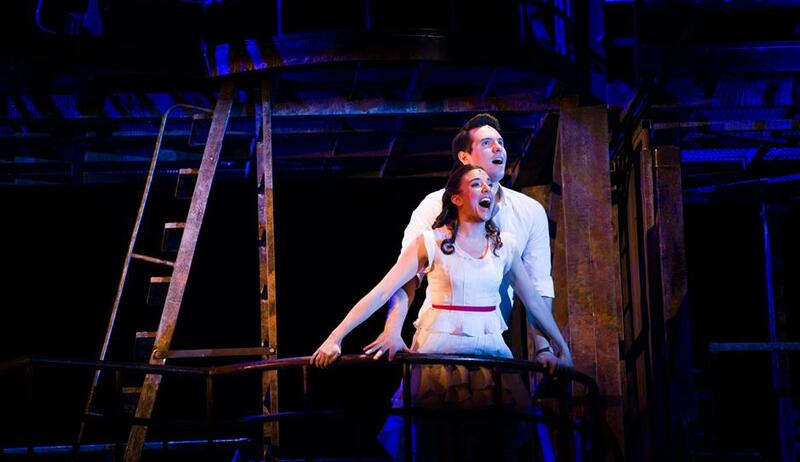 The Broadway smash hit musical "West Side Story" returns to Shanghai with a social message that is just as relevant today as when it was first produced in the 1950s. The Broadway smash hit musical “West Side Story” returns to Shanghai with a social message that is just as relevant today as when it was first produced in the 1950s. But while the production also captured the Big Apple’s 1950s zeitgeist of gang warfare and the love story between Tony and Maria, “West Side Story” is also a timely reminder to people how racial prejudice can destroy lives. According to McKneely, “West Side Story” is still happening in every country today, just replaced by any other races. The social message the musical conveys is undoubtedly important but, at the same time, there is no escaping the quality of the show, songs and production, which all stand alone. “Compared with the production 60 years ago, we now do theaters with a different physical production, trying to make the show appeal to more younger generations,” says McKneely. New lighting, costumes and stage settings are chosen to make the show more relevant to today’s audiences, so they can feel more related to the emotions of the story. But the original core part, such as the “Romeo and Juliet”-inspired tragic love story, music and choreography are largely kept. Top songs, such as “Maria,” “Tonight” and “Somewhere” will be heard as the original versions. With a script by Arthur Laurents, music by Leonard Bernstein, lyrics by Stephen Sondheim and choreography by Jerome Robbins and Peter Gennaro, the original 1957 production of “West Side Story” has been credited as an almost perfect piece of art. Two talented choreographers were hired to create dances for the two gangs respectively in the story, so as to ensure the Sharks and Jets moved differently. Rich elements are widely used in the music, such as opera, jazz, Latin and classical techniques so that it may appeal to different audiences, says Donald Chan who worked as artistic director for more than 3,000 performances of “West Side Story,” including this one. Yet in McKneely’s view, “West Side Story” is such a significant piece of the musical history because it initiated integrating dance as part of the storytelling in musical. Everybody in the musical is a character with plots rather than a meaningless accompanied dancer. With 32 performers and a live orchestra, the production is staged at the SAIC Shanghai Culture Square until December 6, starring Kevin Hack and Natalie Ballenger. Address: 597 Fuxing Rd M.